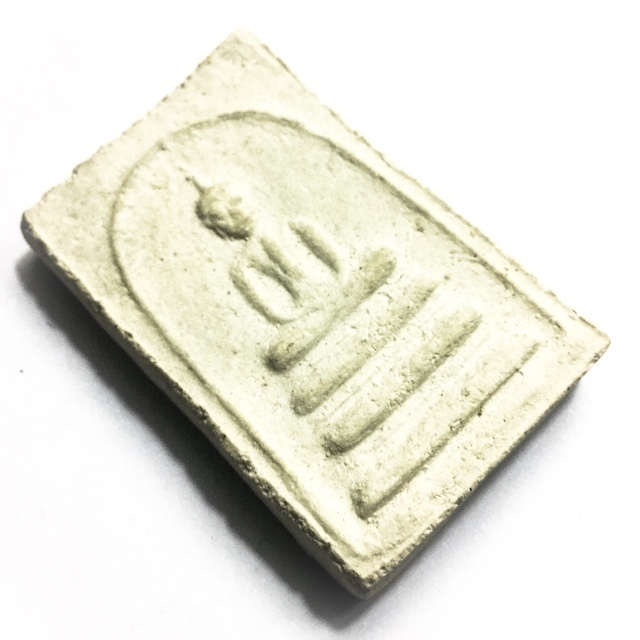 Pra Somdej Hlang Yant Buddha amulet withSacred Yant Jom (indented yantra) on rear face - 'Nuea Khaw' (white muan sarn sacred powders).The Pra Somdej Hlang Yant is an etremely rare and highly favoured amulet by the Devotees of Luang Por Guay. 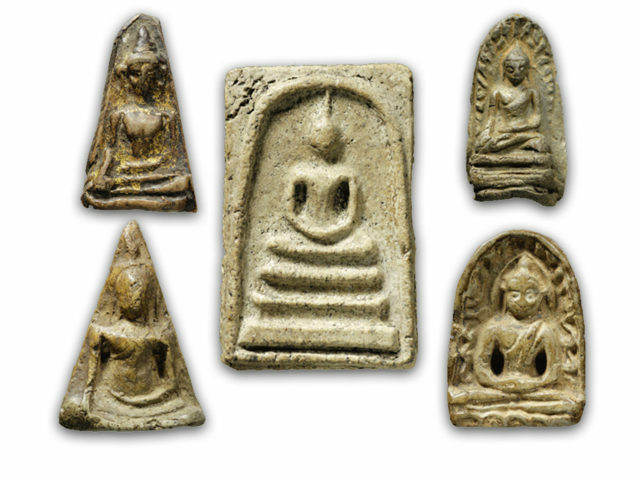 'Nuea Graeng' (time-hardened clay), 'Hlang Yant Jom' (with sunken Yantra on rear face). 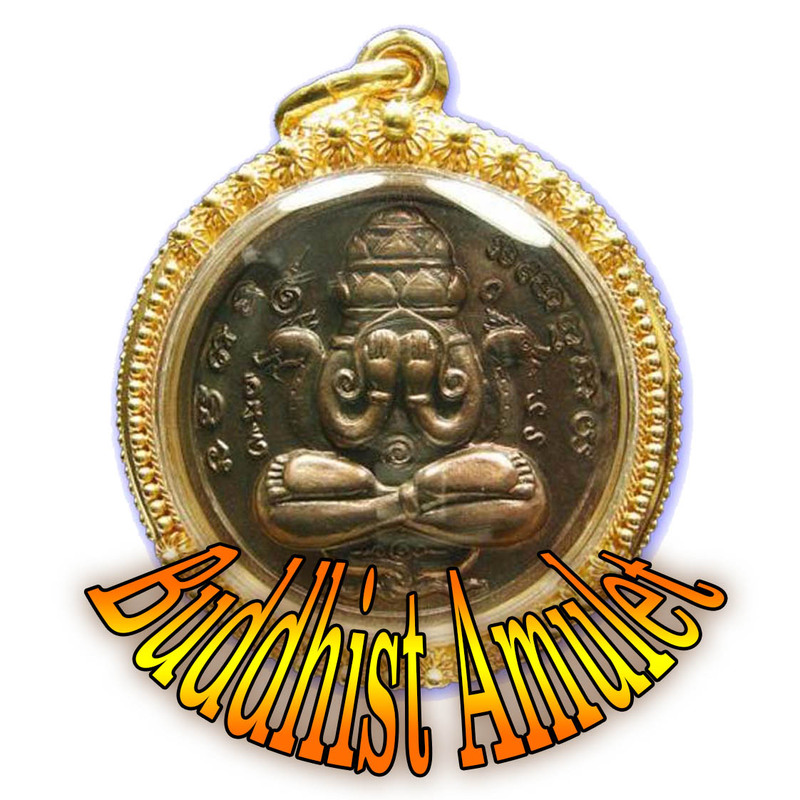 In addition, he would perform empowerments during the various 'Reuks' (Astrological Influentian moments), to bring total coverage of protection and fortuitous blessings to all who might wear and Bucha his amulets. This ritual involved the Adept knowledge of the 'Reuks Mongkol' Buddhist Auspicious alignments, the 'Reuks Jone' (Gangster Alignments), Inauspicious Alignments, and the 'Reuks Bun Paya Marn' Demonic Influential Alignments. This means that it did not matter who wore his amulets, Good people would wear them, Gangsters would wear them, anybody could wear them without loss of magical effect.